5 Reasons Why You Should Come and Visit Washington, D.C. If you haven’t stepped into Washington, D.C. yet, then you’re missing out on a lot of great things. And just so you know, visiting the U.S. Capital won’t just give you a history lesson either. By taking a dive into the heart of the city…. You will be able to have a unique experience. What are you looking for? Washington, D.C. is packed with museums, restaurants, spas, shopping centers, and so much more. There’s a little of everything in the capital that you wouldn’t find anywhere else. It’s not just a home to the iconic White House but also to several performing arts venues like the Kennedy Center! You will be able to learn about art and culture. Are you an art or music buff? Then Washington, D.C. is the place to be. Come and check out the Ford’s Theatre and enjoy world famous plays and musicals in one location. You could also hop on over to the ARTECHOUSE and immerse yourself in the fusion of art, science, and technology! You will be able to explore more than just sights. The journey in itself makes up most of the experience. You can take part in the Carpe DC Food Tours and enjoy a six-course meal that speaks about the uniqueness of the district. Or join a bike tour which is perfect for all ages! You will be able to savor the rich nightlife. Good news, night owls, Washington, D.C. is a city that continues to thrive as the day passes. One of the main sights you can visit at night is, of course, the Hard Rock Cafe. There, you can bask in the ambiance of classic rock-n-roll while enjoying a scrumptious dining experience. You will be able to save money and still have a great time. In this day and age, is there still anything available for free? At Washington, D.C., you can bet there is. You can attend the Smithsonian Folklife Festival and meet numerous communities which showcase crafts, dance, music, and traditions from all over the world! You can also come and check out the Washington monument or take a tour around the Hirshhorn Museum and Sculpture Garden, where you can enjoy the Washington Skyline while enjoying dinner in the famous Lerner Room! Isn’t all that just exciting? That’s just a sneak peek of what’s in store for you at Washington, D.C. If you don’t have a destination for your next family vacation or group trip, then this is the place that you need to see! Don’t sweat the details of getting a Hotel Booking and Reservation at Washington, D. C. for a group, LSP Groups & Expos LLC, will take care of it for you. Feel free to contact us know what you need, and we’ll be right there to help you out! 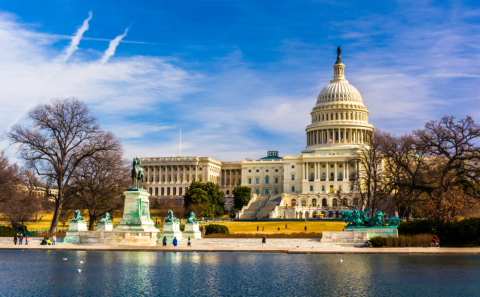 Oh, and don’t forget to share this blog post with your loved ones and friends to let them know about the fun things you can enjoy together in Washington, D.C.! This entry was posted in Hotel Booking and tagged family vacation, Hotel Reservation, Washington. Bookmark the permalink.